Prairie Grove School is believed to have been built in the late 1860’s, a one-room frame building on a field stone cement foundation. Ultimately that building was phased out via building additions in 1957 (four classrooms) and 1966 (eleven classrooms) and finally razed in 1971. During this era, in 1968, Burtons Bridge School District consolidated with Prairie Grove School District. These consolidated districts created Prairie Grove Consolidated School District #46. The school district was comprised of three separate buildings: Prairie Grove School, Burtons Bridge South School, and Burtons Bridge North School, both located east of the Prairie Grove School on opposite sides of Route 176. In 1975, the three buildings were incorporated into one school campus via a major classroom and gymnasium addition to Prairie Grove School. Due to increasing enrollment, six new classrooms were added to the building in 1984 and an additional major facility expansion occurred in 1989. 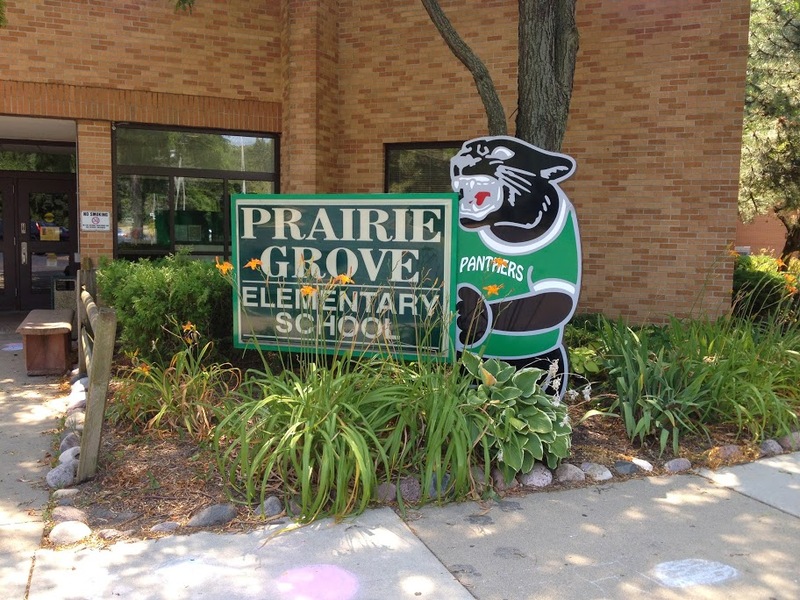 This final expansion, to what is now known as Prairie Grove Elementary School, added the "multi-purpose room", kitchen, fine-arts areas, library, classrooms and district offices. 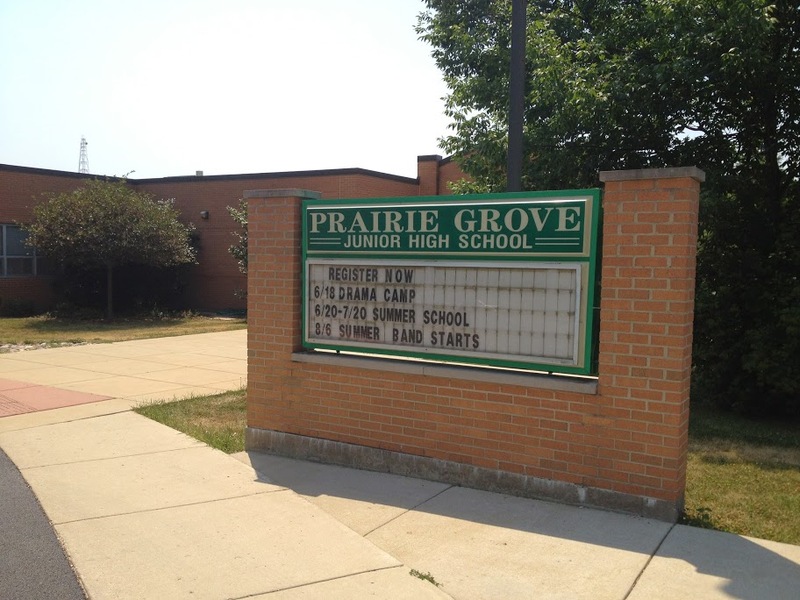 Prairie Grove Elementary School is currently 76,375 sq.ft..
Prairie Grove Junior High School was built in 1999, adjacent to the Elementary school, to accommodate increased enrollment. This building includes three grade-level classroom "pods", library/community meeting room, competition gymnasium, cafeteria, offices and conference rooms. Prairie Grove Junior High School is currently 43,000 sq.ft..